Simple, Sober and Trusted gentleman..
Goddess Tara, the second Mahavidya of Hindu cult is often here allude to the sadhana performed by Lord Buddha (a manifestation of Lord Vishnu) and Vasistha, a Buddhist Tantric scholar and monk. At Mahishi, Tara is threefold viz. Ugratara, Ekjata and Neel-Saraswati. The antiquities of the Mahishi take us back to the centuries before the Christ. And there are monuments, records that cover span of centuries until recent time. The principle deities is the Tara. Here one sees the assimilation of the Buddhist Vajrayan and the Shiv-Shakti Tantrik cult, on the one hand the representation of the Neel-Swaraswati and the Ekjata. Tathagat Akshovya is conveniently changed into form a form of great teacher. Mahishi was an important centre of Tantric worship. Buddhism by this date was completely assimilated into Brahminism and Buddha was taken as an Avatara. 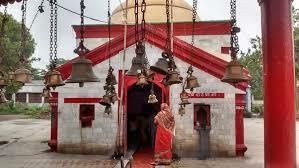 It is therefore natural to find Buddhist deities along with Hindu deities in this area. Goddess Tara is Buddhist form of Kali. The Tara cult possibly, initiated as a part of the Tantric Vajrayana practice within the Buddhism. She is also considered as the Shakti of Lord Buddha. With the downfall of Buddhism in its motherland and under dominated Bhagavatism, it was gradually sanctified and absorbed into the mainstream Hindu cult of Shakti and Spirit worship. Shri Dayanand Jha in his seminal work Mahishi: Kosi’s Vishwagram explained these issues in greater detail. An authentic work on Tantra named “The Ten Great Indian Powers” by Shri S. Shankarnarayan says that the worship of Tara is at least as old as the Vedas. It has been prevalent in Kashmir, Mithila and Tibet, the popular land of Buddhism. 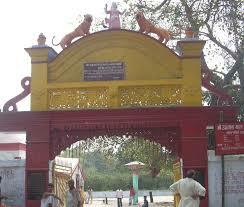 Mahishi had a temple of Ugratara, where people went for Sadhana during the Navratra. 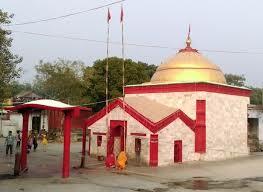 This is the only temple in Bihar, dedicated to Ugratara. 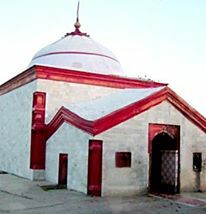 The temple contains an image of Ugratara (Khadirvani Tara) probably imported from Tibet through Nepal. It is a black stone sculpture about 1.6 m in height. She is in an intensely pleasant mood.The image is highly ornamented. It is one of the finest piece and brilliant example of Idol ever-seen – Shri Jha observes. 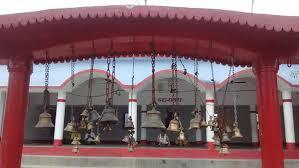 It also has idols of Ekjata and Neelasaraswati on either side of Tara. A small stone pillar has been fixed on the backside of the deity. A painted snake-hood figure has been kept on the pillar.